Felling will take place between the hours of 7.00am and 6.00pm daily with logs being removed from the site by log trucks on a regular basis via the southern side of Leckie St reserve and Redruth St. NB. These hours are industry standard and facilitate the safety of workers involved. 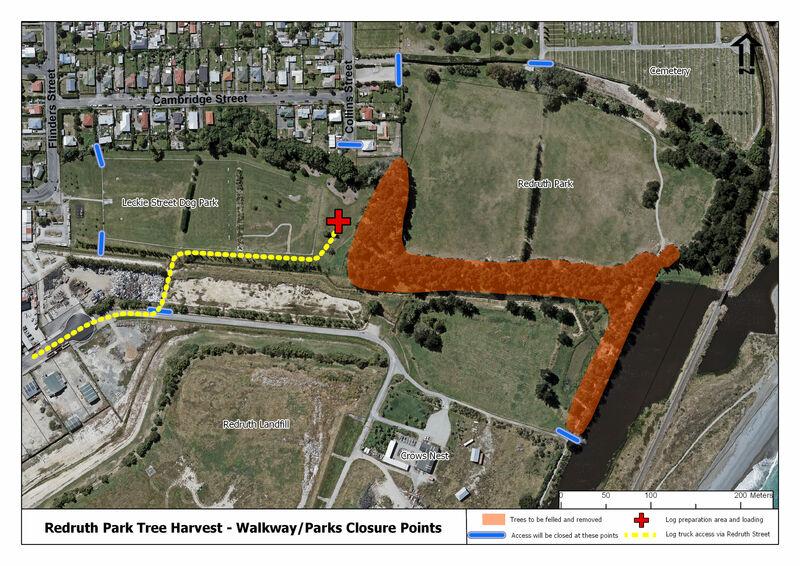 Access to Redruth Park, parts of Leckie St Reserve and the section of Hectors Coastal walkway / cycleway, which traverses through this area, will be closed to public use for the duration of the felling and log removal process. The Dog Park at Leckie St will continue to operate over this period with access from Leckie St only. 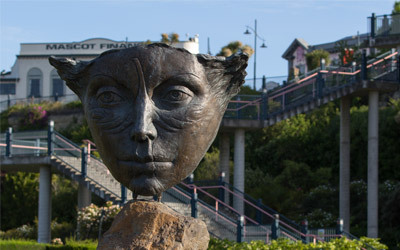 Weather permitting, it is expected that the operation will take approx. 2 to 3 weeks to complete. Public are asked to respect and comply with all track and access closures at all times for their own safety and that of operators working onsite. Where practicable alternative route information will be provided at the closure points. Following harvest the felled areas will be prepared for replanting with native tree species over the next 2 years along with improved walkway / cycleway linkages to Leckie St and Redruth St..
We regret any inconvenience to users of these areas and if you have any queries at all, then please do not hesitate to contact Parks and Recreation Unit at Council on 03 687 7200.